ClassicLine Insurance are delighted to hear that The Association of Rootes Car Clubs and the Rootes Archive Centre Trust have been jointly awarded the Preservationist of the Year accolade by The Transport Trust for the work they have done in preserving the engineering archive of the Rootes Group. The Trust awards its premier trophy to an individual or group who have made an outstanding contribution to the cause of transport heritage preservation in a specific year, or which has culminated in a specific year. 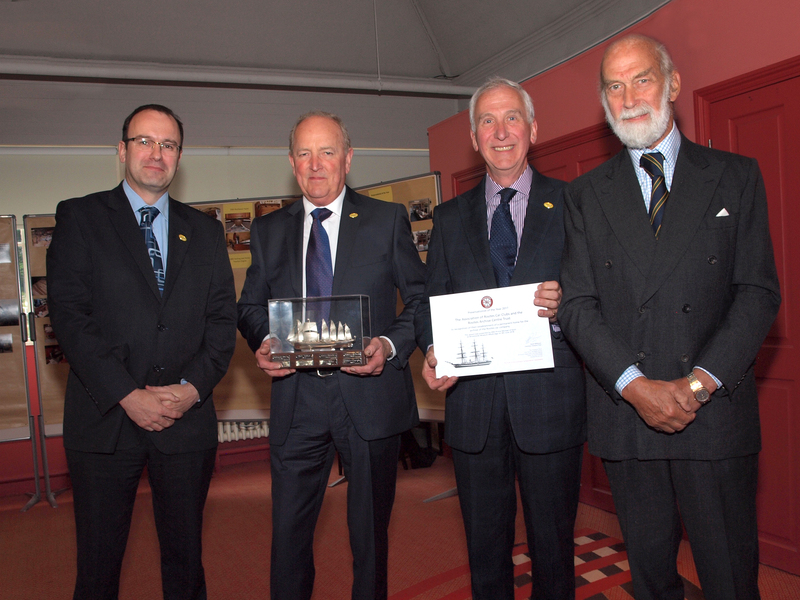 The winner holds, for a year, a silver model of SS Great Britain, since the award was inspired by the achievement of Sir Jack Hayward in returning the vessel from the Falklands to Bristol. The award was presented by HRH Prince Michael of Kent during the prestigious awards ceremony at the Brooklands Motor Museum on 4th June 2018. The Transport Trust is Britain’s only charity dedicated to the preservation of all modes of transport and its infrastructure. Together the Association of Rootes Car Clubs and the Rootes Archive Centre Trust have worked tirelessly to both preserve the archive material they saved from destruction but also to fund raise for their own building in which to house the archive. This building was officially opened by members of the Rootes family on 22nd April 2018 and is situated in Wroxton near Banbury. This award is testament to the hard work and dedication of all those involved and we would like to send our congratulations to you all. The Archive which also contains a fantastic array of Rootes artefacts is open to the public on the 1st Sunday of every month and full details can be found on their website. Photo supplied shows ARCC Chairman James Spencer and Trustees Matt Ollman and Andy Bye receiving the award from HRH Prince Michael of Kent.